Disney's adaptation of Madeleine L'Engle's fantasy novel comes with a star-studded cast including Oprah Winfrey, Chris Pine, and Reese Witherspoon. (SPOT.ph) Madeleine L'Engle's A Wrinkle in Time, a 1962 sci-fi/fantasy children's book, was required reading for many grade-school students. It discussed themes related to good and evil, saviors, and self-worth within a fairly complex story about other dimensions, scientific theories, and mystical beings. It was also a book many students claimed to fully understand when they probably couldn't. Disney and director Ava DuVernay's adaptation of this classic book was always going to be a Herculean task. 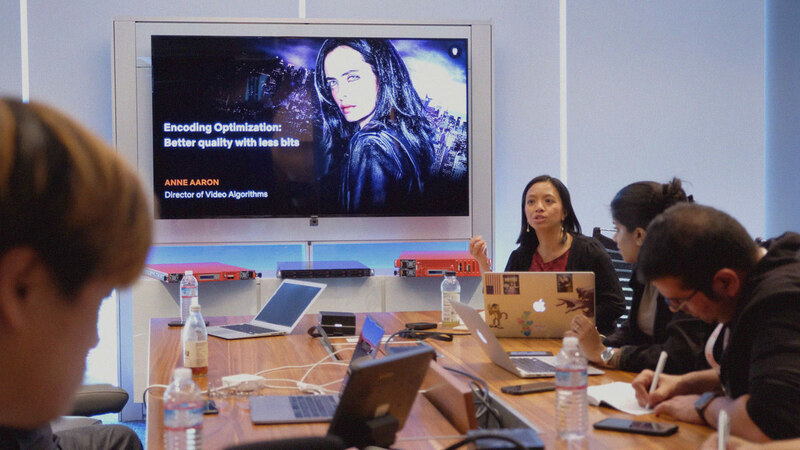 Ambitious to a fault, DuVernay and screenwriters Jeff Stockwell and Jennifer Lee (who wrote and co-directed Disney's Frozen), try to capture a feeling of amazement and wonder while also heavily working on creating a message—messages, even—that they want kids to learn. 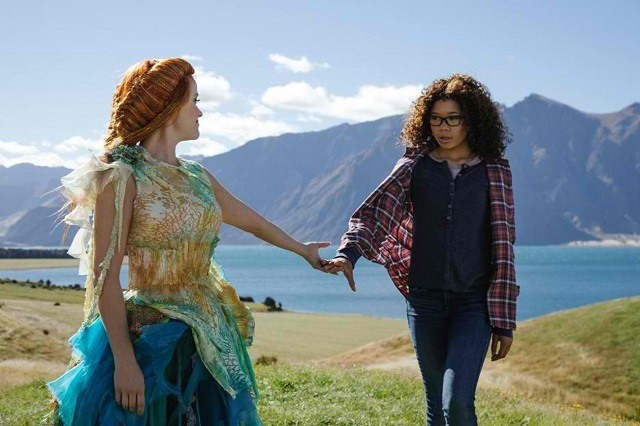 They succeed with the latter, as A Wrinkle in Time is the rare kids' movie that has heart and meaning in its DNA rather than silly amusement, but the film struggles in structure, often feeling like a love-filled heart floating without a body. 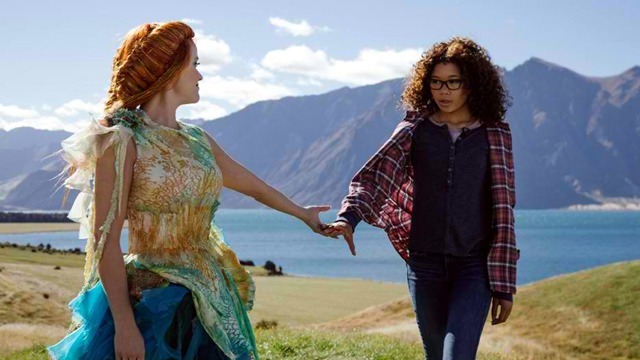 In A Wrinkle in Time, we meet Meg Murry (Storm Reid) a mopey misfit teenager coping with bullies in school and the stinging loss of her father (Chris Pine), who had disappeared without a trace four years prior. Mr. Murry and his wife (Gugu Mbatha-Raw) are both scientists who have been working on mind-blowing theories. Mr. Murry was studying the concept of tessering, or the traveling between time and space in an instant, when he suddenly disappeared. Alone with only her grieving mother and 6-year-old genius brother Charles Wallace (Filipino-American Deric McCabe), Meg feels she has little to live for. When a trio of strange intergalactically-dressed ladies appear, Meg's world is turned upside down. Mrs. Which (Oprah Winfrey), Mrs. Who (Mindy Kaling), and Mrs. Whatsit (Reese Witherspoon) claim to be part of the Universe, and have heard a cry for help from Meg's father within a darkness that continues to spread in the Universe. They ask for Meg, Charles Wallace, and Meg's classmate Calvin (Levi Miller) to help find Meg's dad, and to fight the darkness that is slowly invading the worlds—including Earth. 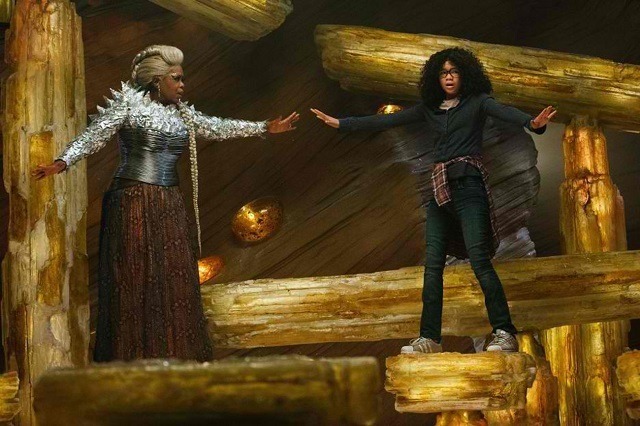 A quick summary of the film would barely scratch the surface of everything that is within A Wrinkle in Time, and it's not as if DuVernay and co. threw in everything they can—it's just really the nature of the story. This is a difficult book with a lot of hard-to-explain concepts, and the film does its best to showcase it visually. 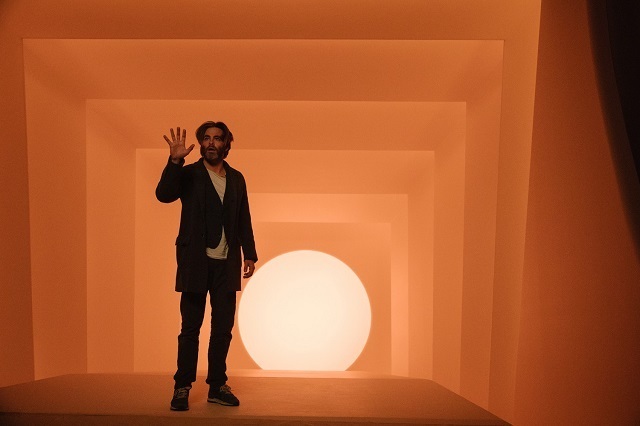 The new worlds that DuVernay creates—like a world full of butterfly-flower hybrids, or the amber stone-colored world of the Happy Medium (Zach Galifianakis)—are all stunning and wondrous. Often, the VFX is too obvious, but the otherworldliness of it works, and kids would definitely be oohing and ahhing at the worlds DuVernay has created. 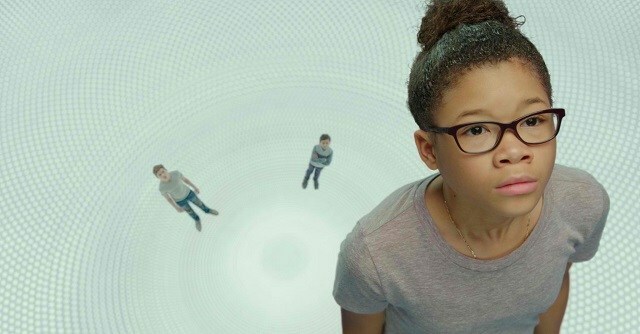 The strongest aspect of DuVernay's A Wrinkle in Time, however, is its heart. It's made with the purest of intentions, with a diverse cast, a bi-racial lead, a note about adopted siblings, and full of themes of self-expression, self-confidence, and believing that there is more to you than you think (the limits are endless!). Wrinkle's themes and messages are beautiful and are felt strongly when the film takes the time to focus on the personal relationships. There are also no unnecessary complications in how it is explained—it's all very heartfelt, and that's beautiful. Unfortunately, the message is layered into a structure that often misses the mark. With a complex story comes a complex adaptation, and it feels like while DuVernay had a good hold of the intentions, the structure of the film isn't quite there. The film roughly moves from scene to scene, often tied together with music video interludes that come out of nowhere. These music videos are also scored by pop songs that try their best to pull that emotion out of the story, but it just feels off. Plotlines are introduced and dropped, or just straight up thrown into the story without any build. The film overall feels incomplete, or that so much was taken out that it's missing some pieces. There's a shift in Charles Wallace's story that doesn't hit as well as it should, for example. Another would be how Meg's friend Calvin is explained as an important piece, but it often feels tacked on, or that the Mrs. trio isn't tied into the story as seamlessly as the film had hoped. When there are grounded character moments, something DuVernay captures very well, often in extreme close-up, it feels like a great film full of emotion, but then it falters again on world-building and storytelling. In spite of this, DuVernay did gather a stellar team of collaborators. Every single person in this film is perfectly cast. Newcomer Storm Reid is a powerhouse, carrying the film brilliantly—she's in basically every frame. 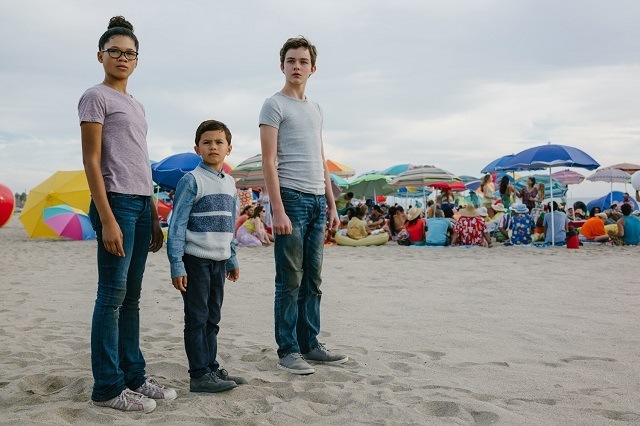 Deric McCabe and Levi Miller, the other kids, also hold their own, the former being stretched in his acting abilities quite hard, while the latter captures “nice boy” looks naturally. Each Mrs. is also perfectly cast—the judgy and fast-talking Mrs. Whatsit is essentially Reese Witherspoon in goddess form. Kaling hits both comedy and drama with the “quote”-quoting Mrs. Who, who only uses sayings and words by historic people to talk; her quotes ranging from Shakespeare and Buddha to OutKast and Lin-Manuel Miranda. Oprah is introduced as a 20-foot being coming from light—and only God knows if that's her true form, but she is her awe-inspiring, advice-giving self in this film. The strange Happy Medium is also excellently portrayed by Zach Galifianakis. There also is the loving, frustrated father of Meg in Chris Pine, who is very good in his limited number of scenes, and even better in fewer scenes is the criminally underused Gugu Mbatha-Raw as Meg's struggling mom. 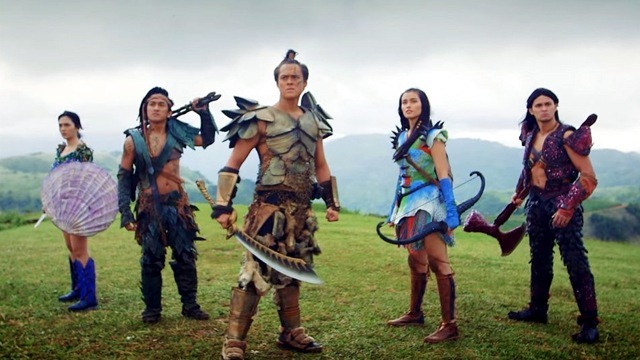 It's such a perfect cast in the scheme of things, but their work takes a backseat as again, the focus is on the themes that the film wants to explore and the lessons it wants to impart. It is respectable and we can all appreciate what this crew attempted to do. 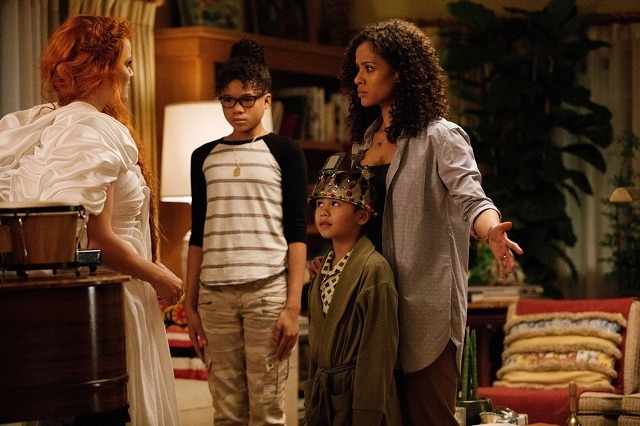 DuVernay and Disney set out to create a kid-friendly sci-fi tale that speaks to those who feel overlooked by the world, and that's exactly what they did. Kids will appreciate the gorgeous visuals and the lessons here. A Wrinkle in Time doesn't feel like a cash-grab, or a half-hearted effort to reach out to those not often catered to. This is a film that had the best of intentions, with the most wonderful of themes and lessons in it, and while its moviemaking may have suffered a bit, it does showcase something full of hope and magic that people need today. A Wrinkle in Time opens in theaters today, March 14.